This recipe was born out of the sheer compulsion to use up the spring onion that was left over. I had some left over rice and these spring onions lying in the fridge. I do not use spring onions much except for Chinese. And I hate to see vegetables rot. Therefore, after a lot of thought, I decided to cook up this rice. 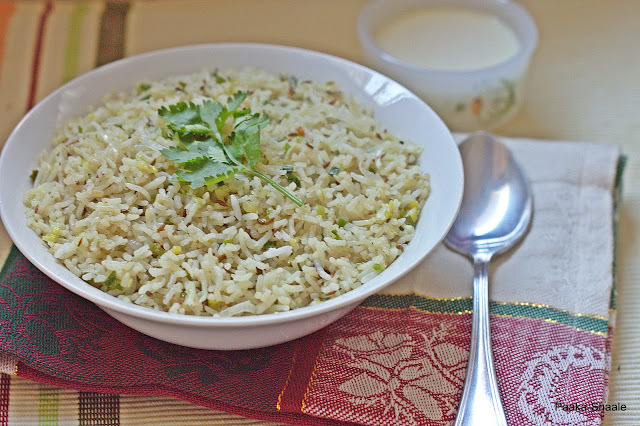 The rice is easy, and uses some simple ingredients and still extremely tasty. The hint of pepper and the butter makes this rice absolutely delectable. Garnish with Coriander leaves or spring onion greens and serve hot with raita or plain yogurt. I love the flavor of spring onion and fried rice using spring onion is really awesome recipe...delicious! I love this sort of simply but a flavourful fried rice,delicious..
looks yummy, gr8 way to use leftover spring onion! 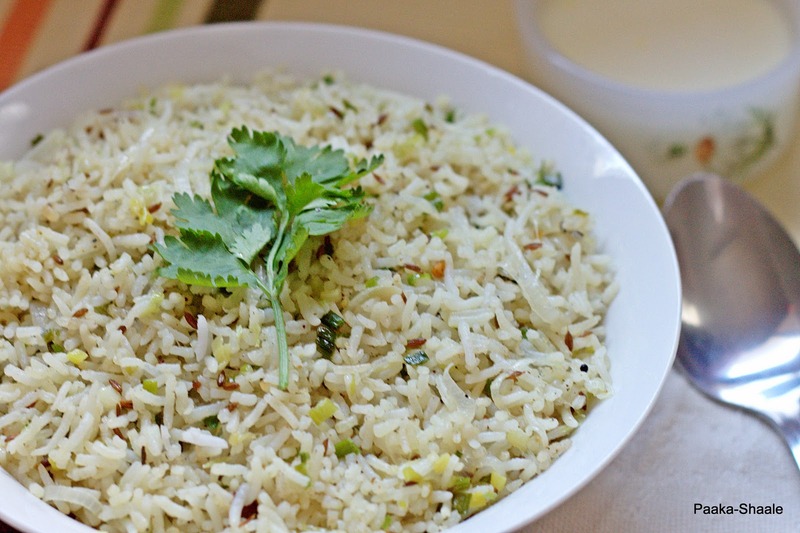 Love the flavor of spring onion and this rice sounds YUM! such a simple recipe. Beautiful presentation! Fried rice looks amazing. The semi circular container looks so cute! 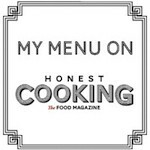 Love the recipe with excellent clicks. This recipe literally spells spring! so flavorful & fresh. Lovely.